"TMDHosting" Reviews (Apr 2019) - Why 4.8 Stars? TMDHosting offers so many of our hosting favorites: unlimited essentials, cPanel control, scalable solutions, and round-the-clock monitoring by actual humans. From fully-managed shared hosting to dedicated servers with root access, they truly offer a wide range of hosting options to suit any experience level. “Whether you're looking for a shared, virtual, or dedicated server, you want a provider that is going to anticipate your hosting needs and act on them. You want a host that emphasizes speed, security, and support as if they're all equally paramount. TMDHosting aims to go above and beyond for their customers, and it shows in the types of solutions they provide. The Confidence of Having the "Most Dedicated Support"
“One of the first points that stands out when you look into TMDHosting's shared server options is that they're super affordable. For just $2.95 you get essentially unlimited everything — storage, bandwidth, databases, and emails — except domains. You do get one domain free for one year, and if you need more, you can always upgrade to the Business plan, which costs a mere three bucks more per month. “These days, the market for dedicated server resources is competitive — the site owner's data is precious and uptime is imperative. TMDHosting recognizes this by emphasizing data loss prevention as well as round-the-clock server monitoring. “If you're looking to upgrade to a VPS, you're looking to expand your site's potential along with your business. TMDHosting offers several cloud-based servers that emphasize scalability and security. They're easy to spin up and monitored constantly by expert technicians. “When you're searching for a shared server hosting provider, chances are you've at least considered using the very popular, open-source blogging software, WordPress. TMDHosting wisely realizes this and they make it super simple to get started with a WordPress-optimized web environment. “Site building is always easier when you have a great, preferably free, template to help you get started. This is an area that stood out to us when we first looked into TMDHosting's shared web hosting offerings. Whether you're starting from scratch or want to transfer your existing site to TMDHosting's managed shared servers, it's easy. Their technical support team will handle all site migrations, and your domain is free for one year. Both the Starter and Business shared packages come with unlimited allowances for all the basics: emails, databases, storage, and site traffic (unlimited domains with the Business plan only). Easily manage all of this through cPanel. Once you're logged in, you have over 200 open-source apps and scripts at your disposal. All of these features for customizing your site building and hosting experience are easily accessible through Softaculous 1-click auto-installer. TMDHosting caters their website to attracting online retailers specifically looking for a given eCommerce platform. 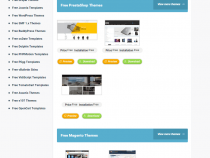 Getting started with Magento, Drupal, or PrestaShop, for example, is super easy, with free templates only a click away from the TMDHosting homepage. Installing these open-source applications is cost-free and the TMDHosting team will handle any necessary modules installation and upgrades. Shared plans include free Let's Encrypt SSL Certificates with all packages. In addition, TMDHosting offers free Standard GlobalSign SSL for all packages except the Starter plan and free WildCard GlobalSign SSL in all plans except for shared and cloud hosting. Their plans include support for merchant accounts and you can have a shopping cart for your customers to check out in set up in a matter of minutes. TMDHosting servers are primed to work rapidly fast for you. By default, they use pre-built operating system images for quick provisioning and include Memcached for powerful caching. All hosting packages run on SSD at no extra charge, which adds power, speed, and security. VPSs are easily scaled up and down with virtually no downtime and no interruption to your server connection. TMDHosting's dedicated servers come with SATA drives by default but can be replaced by SSDs if desired. With TMDHosting's managed services, backups are conducted daily and weekly to capture snapshots of your server configuration and data. Rolling back to a previous version can be done by the technical support team at any time, free. TMDHosting offers fully-managed plans, so customers can just worry about their content and skip the hassle of server management. The "Most Dedicated Support" team is available all the time to help with any issues you may run into, however. Not only is the support team readily available at all times, but TMDHosting offers 24/7/365 server monitoring — done by actual human beings. Their monitoring team works around the clock to ensure your site is live, fast, and secure. For the do-it-yourself-ers, the TMDHosting team makes tons of knowledge base articles and both text and video tutorials available as well. From signup to login to customization — getting started with TMDHosting couldn't really be easier. With their free and easily accessible site templates from WordPress, PrestaShop, Magento, Drupal, OpenCart, and Dolphin, you can have a professional-looking site started in mere minutes. 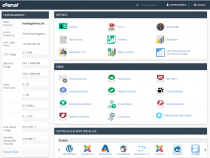 The process is incredibly intuitive, especially with the inclusion of the ever-popular control panel, cPanel. 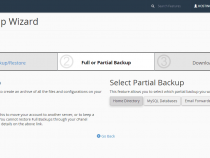 Once you're live, you can choose to conduct full and/or partial backups of your site data, a feature also found within cPanel. As always, the "Most Dedicated Support" team is constantly there doing anything they can to streamline the web hosting process for you. 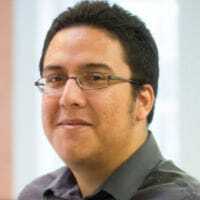 As part of their managed hosting services, these guardian angels take daily and weekly backups of your site data and keep seven revisions, or restore points, on hand at all times; they'll happily restore your site to any one of the stored versions, should you need to revert back after a mishap. TMDHosting offers some of the best price points you'll find on the market for shared hosting, especially given that they offer the added stress-reliever of fully-managed servers. Their Starter plan includes everything you need to get a blog, portfolio, or online store launched fast. Their dedicated and virtual servers come in a variety of flavors, with a range of options for storage, CPUs, and traffic allowances, so you're sure to find a match for your performance needs (one that meets your budget as well). TMDHosting has a full staff of technical support, system admins, and customer care personnel. They design their shared hosting plans to be as stress-free as possible by offering fully-managed services; meanwhile, their "Most Dedicated Support" team is on hand for all customers. Not only are they available all day, every day, but they have actual humans watching over the servers as well, to ensure you and your site are fully supported at all times. Wondering how TMDHosting stacks up againt other web hosting services? See our host-vs-host reviews below and compare them side by side. TMDHosting services run the gamut, from fully-managed shared hosting plans chock-full of unlimited essentials to high-speed VPSs with SSDs and tons of room for cloud bursting. They don't focus on one service or user base, they keep their "Most Dedicated Support" team on hand 24/7 to help the website newbies and savants alike. Whether you want a WordPress-friendly environment equipped to handle a couple thousand monthly visitors or you're in need of high-speed power and stand-alone resources, you won't regret exploring TMDHosting.